Building this working seige machine is half the fun. Firing the lightweight KEVA balls is the other half! 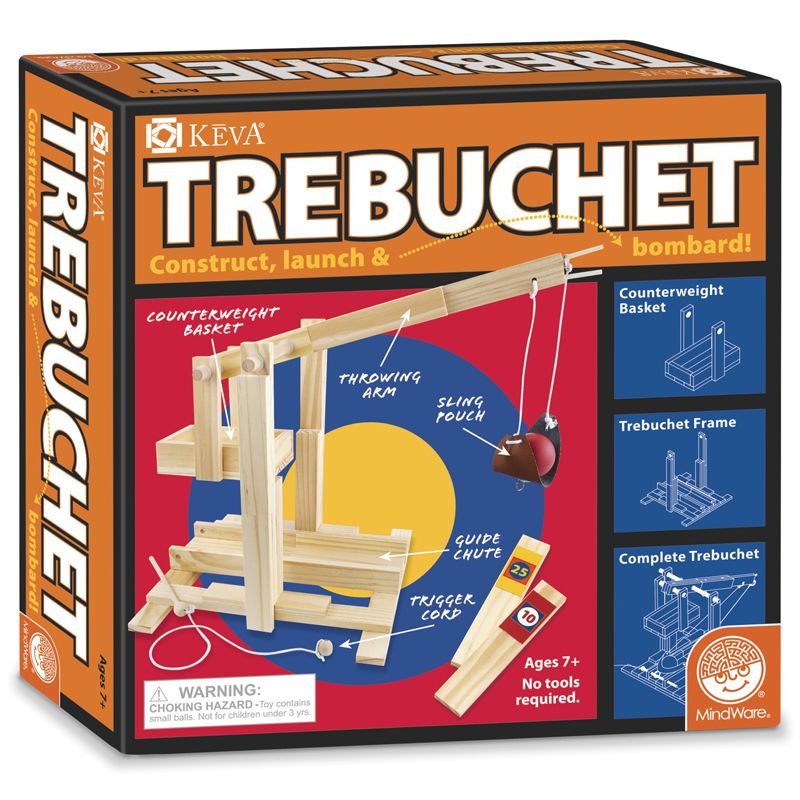 It can vary its distance by altering the counterweight, experiment by knocking down a field of target planks using the 2 balls included!